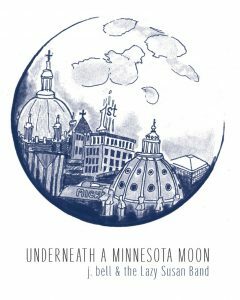 j. bell & The Lazy Susan Band – Underneath a Minnesota Moon – Album Review | The Ark of Music – The best music in the world…you never knew existed. Winona, MN native Justin Bell has been playing music for so long that he—quite literally—can’t remember when he first started jamming with other people. That said, his first official recordings were released on cassette—and that should mean something to you. Describing themselves as “genre-resistant rock”, jb&LSB’s primary objective with their latest album, Underneath a Minnesota Moon, was to simply be honest. An admirable intention in a world and industry oft-mired by much less. Dangerous is the album’s lead-off track, and rightly so with its solid songwriting, production, and climactic, ripping guitar solo at the end. The song left me thinking, “…you just don’t hear enough of that kind of stuff anymore.” Accompanied by an official music video (see below), the number is ultimately an ego/reality-check about the stunning realization that occurs when you learn that someone’s gotten over you…and their just fine. Ironically, in J. Bell’s own words, Onto Something There started off as a joke, a throwaway track, and was certainly never supposed to be on the album. And yet, as these things happen, the song just “clicked” one day in rehearsal, growing into the high-energy, vocal harmony-laden, bluegrassy, Americana piece that it is today. In impressive and highly entertaining fashion, Half Of The Time (jb&LSB’s musical testament to classic middle-age indecision), bounces back-and-forth between 80’s style pop rock, and 80’s style blues. Horns clash with yet another shredding display of J. Bell’s guitar improv. It’s just really, really good. A truly hand-crafted rock ballad, layered in perfectly simple vocal harmonies, Don’t Take A Breath gives the album its fundamental closure. Underneath A Minnesota Moon is everything we’ve come to expect from Winona-rooted songwriters and music-makers: honest, accessible songwriting and flawless production, that when combined can really only be described as: Lovely. And, as real music, made with real instruments, by real songwriter/musicians, is getting harder and harder to find, (particularly on the radio), jb&LSB’s new album quite literally represents the sonic equivalent…of hope. Wholeheartedly agreeing with jb&LSB self-branding themselves as genre-resistant rock, it was admittedly difficult to narrow down the influences that emanate from (or perhaps more accurately stated: jump off of) this album. That said, try this: Big Head Todd and the Monsters meets Huey Lewis and the News meets ZZ Top.…with a twist of Alabama. 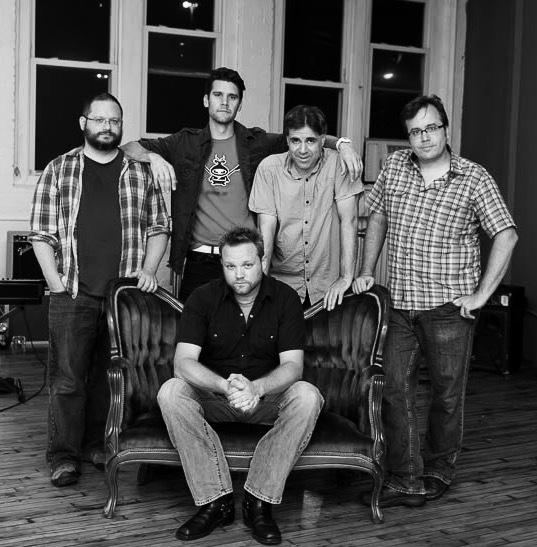 Below, you can listen to j. bell & The Lazy Susan Band’s album, Underneath a Minnesota Moon, check out our interview with front-man Justin Bell, connect with their website and social media platforms, watch their music video, check out their live show/tour schedule, and find their booking & contact information. Please support j. bell & The Lazy Susan Band by visiting them online, and playing, downloading, and/or purchasing their music. And, as always, thank you for supporting real music!